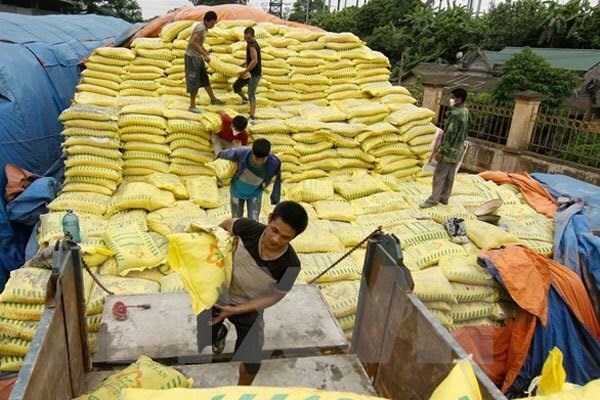 Hanoi (VNA) - The imposition of temporary safeguard duties on DAP and MAP fertiliser imports into Vietnam, which came into effect on August 19, is an effort to help protect the domestic fertiliser industry but might push up production costs for farmers. Under the Ministry of Industry and Trade’s decision, the temporary safeguard tax has been set at 1,855,790 VND (82 USD) per tonne, and is effective from August 19, 2017 to March 6, 2018, or until the MoIT releases a decision to impose an official measure. The imposition of taxes is also in line with the international rules of the World Trade Organisation (WTO). According to the director of the ministry’s Department of Chemicals, Nguyen Van Thanh, the imposition of safeguard duties will benefit domestic fertiliser producers because they will be able to proactively control their supply and will not be significantly affected by the import sources. This is also a good opportunity for local enterprises to dominate the market, while the tax imposition will create conditions to revive “zombie” enterprises producing DAP such as Dinh Vu and DAP 2 Lao Cai. Pham Ngoc Hung, vice chairman of the Vietnam Anti-counterfeiting Fund, said the application of trade defence measures would help fight dumping from foreign exporters and partly protect the interests of consumers in the country. "Of course, with the imposition, importers will find it difficult because input costs will be higher. But those who need the most attention are farmers because we are not sure if they will benefit or be disadvantaged," Hung said. There might be a case that local producers take advantage of the higher tax on imports to create an artificial lack of goods and push prices up, causing difficulties for farmers, Hung said. Therefore, the Government must ensure that farmers are not negatively affected by the tax imposition. Local fertiliser suppliers and producers should be asked to maintain or reduce selling prices and their compliance should be supervised. According to experts, the imposition of a temporary safeguard tax is only a band-aid, which is unable to solve problems faced by the local fertiliser industry and businesses. Nguyen Hac Thuy, Vice Chairman and Secretary General of the Vietnam Fertiliser Association, said with a designed capacity of about 660,000 tonnes of DAP per year, Vietnamese enterprises could satisfy about 80 percent of local demand. But now the production technology is not advanced and synchronous, so made-in Vietnam products do not meet the international standard of 62 percent nutritional content. The nutritional content in Vietnamese products reaches less than 60 percent while DAP imports from abroad such as USA, Canada, China, the Republic of Korea, Japan are of higher quality.